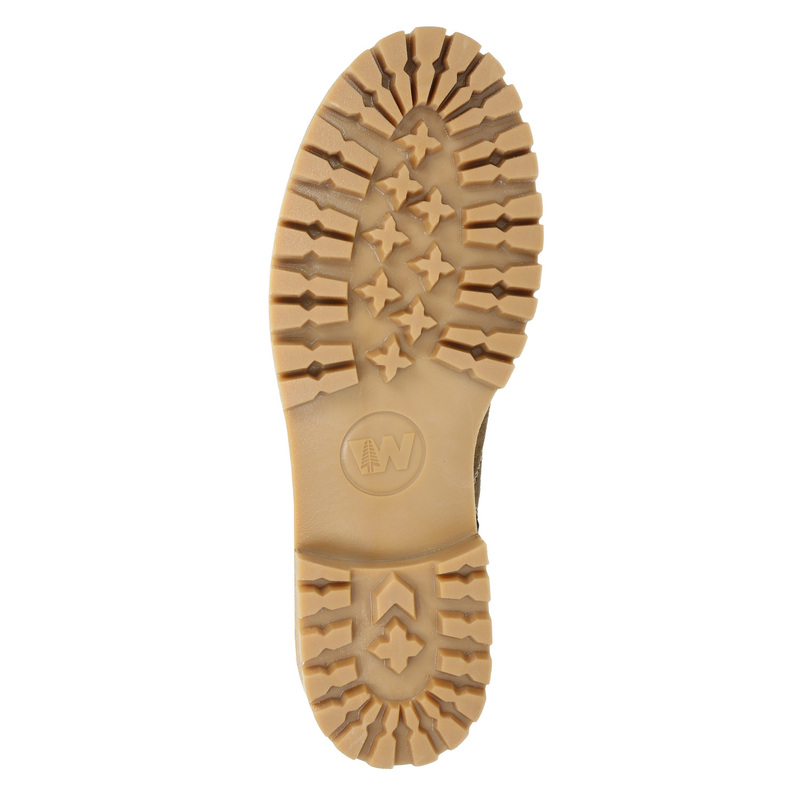 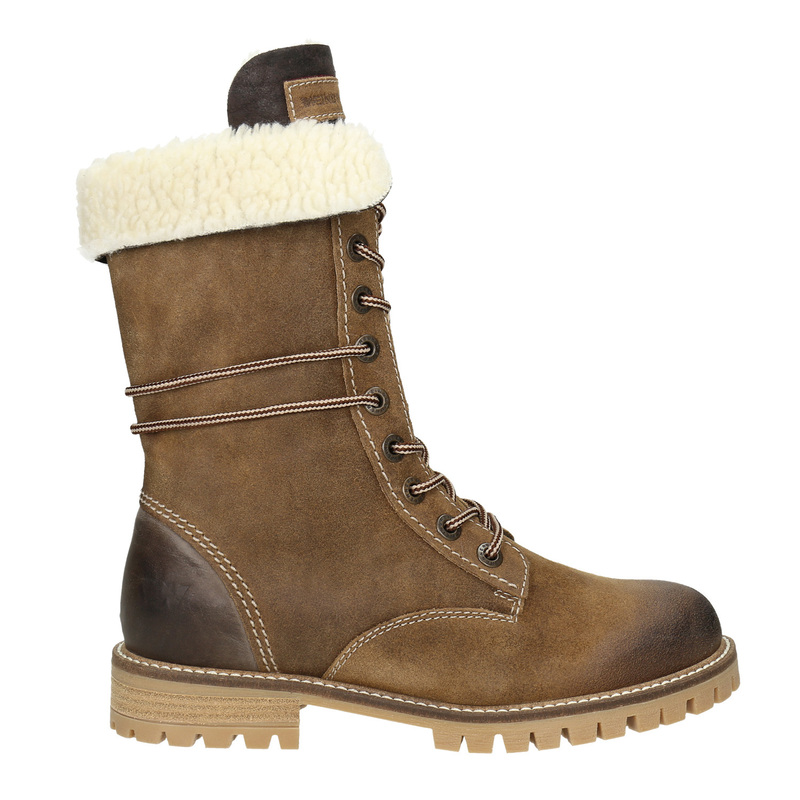 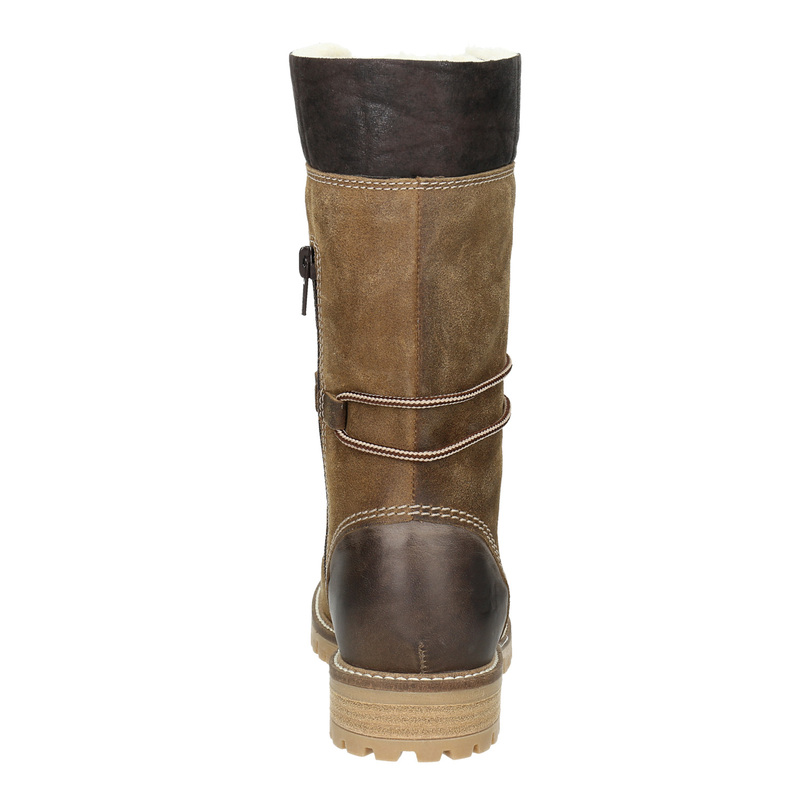 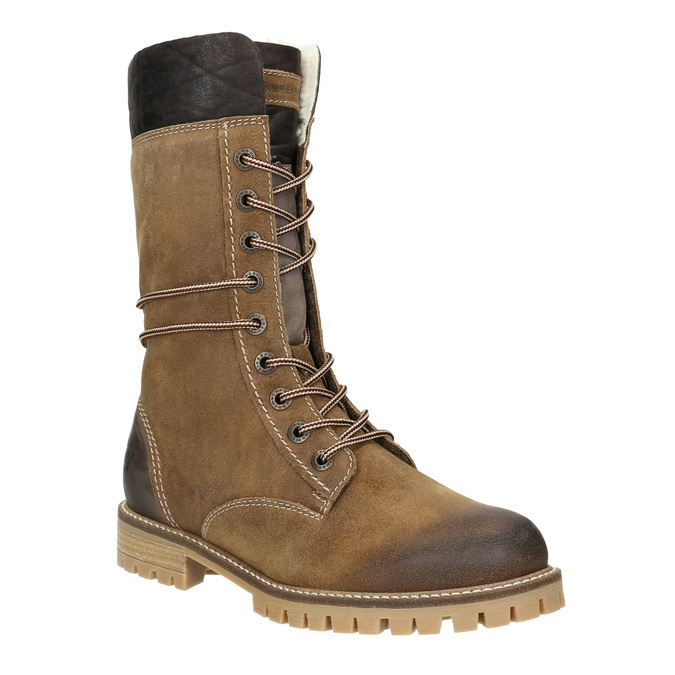 These Weinbrenner ladies’ winter boots have a leather upper with distinctive stitching. There is artificial fur insulation inside. 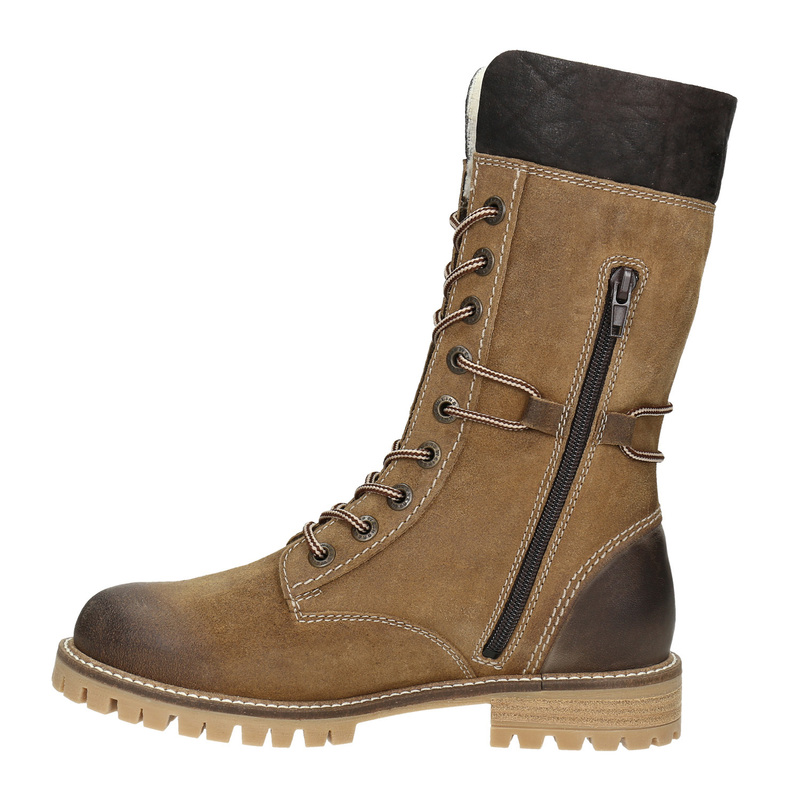 The thick patterned sole is ideal for the chilly weather. 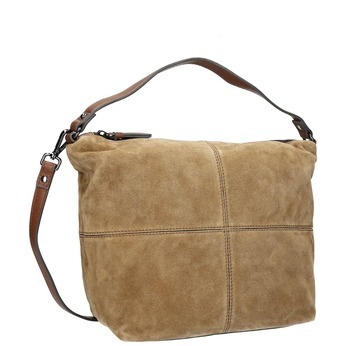 Can be combined with leggings and a long top or with skinny jeans.